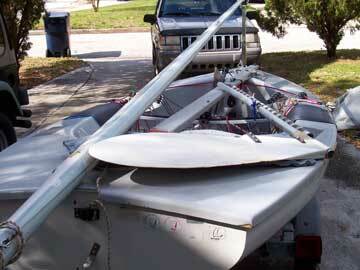 Good condition with a repair (professionally done) near the bow. The boat was campaigned in 1996 and 2004. New mainsheet block with swivel Cam Base Cleat. Rudder should probably be replaced (has chipping) but can be used for training/learning. Lattini carbon Wing Mast (2001 Gold Cup mast) w/ cover. 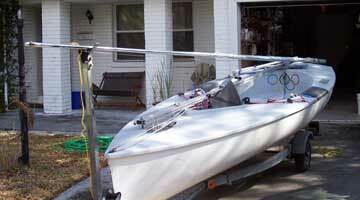 The previous owner said the mast/sails were rated for someone in the 95 kg (209 lb) range. The boat is ready to go and ready to sail. The Finn and Johnson 18. They both have been sold.